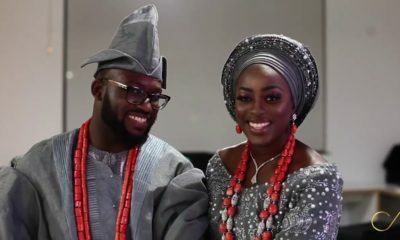 Inspirational BN Weddings couple Pastor Dami Oluwatoyinbo and Toju are back with another vlog! 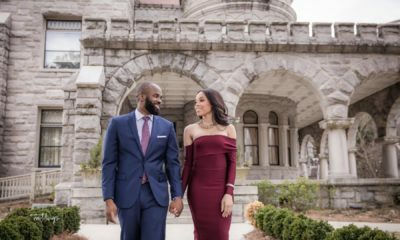 We recently featured the couple’s two year anniversary episode, where they shared two big announcements for all of us. 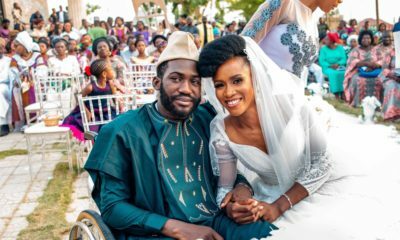 Firstly, they told us about their plans to move back to Lagos from London and also they told us about the blessing of a baby on the way – click here if you missed it, click here to know how their 2nd year of marriage was – ups and downs and everything in-between. As they’ve stated previously, their vlogs are here to stay! – So we hope you’ll be inspired. In this episode they gave us a break down on what they have experienced while transitioning from London to Lagos, from the surprises, to the ups and downs and mostly importantly how grateful they are to have overcome all the minor hiccups without it affecting their relationship directly, and also how thankful they are to be closer to their families. Have you ever had to deal with a drastic transition in your relationship, and how did it go? Find out about Dami and Toju’s journey so far, and add your comments below! 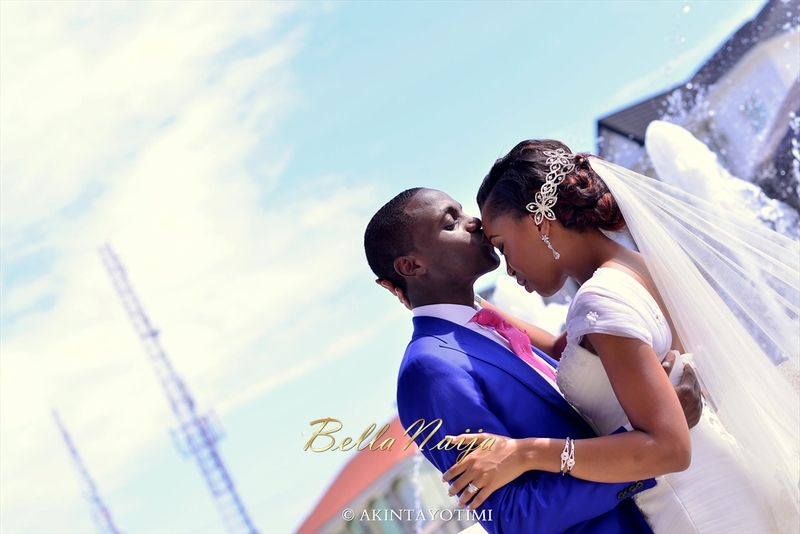 To catch up with other BellaNaija Weddings couples after a few years of marriage, click here! Wellcome back home,the main place were your vlog can be more appreciated. Thanks for your warm welcome Todun. We are happy to be back and we look forward to contributing more as God inspires and strengthens us. Bella Biko na. Respond to my email. I sent you some videos I did. But I’m curious, new couples who have vlogs and everything, how do you guys manage? I am INSANELY private, so there’s that part of me speaking, but also,how do you manage with sharing your life (maybe not entirely) and big life decisions with the world, sometimes you have stuff you’re dealing with, doubts about the decision, stuff going on with life and all, plus first two years of marriage aren’t generally the easiest. How do you manage? I really wish i could say great vlog but im still struggling to understand what your vlogs are all about. Is the objective to be a reality type kinda vlog? Please help clarify. Thanks. I actually couldn’t even finish watching the episode. .Toju was away for just over a year and Pastor Dami maybe 3/4 years (not sure if he came to Nigeria in between though) and you are talking about adjusting to artisans and gen noise??? Like really??? Hadassah take a 3 months break from Nigeria when you come back then ask this questions again. God bless you! I dont get it!!! Keep your lives private, they wont hear!!! This is really unnecessary…Announcing everything from pregnancy to what you had for breakfast, lunch and dinner is silly!!! Gosh! what is going on!!!! God bless you too Kemi. The contradictions in your comment are as intriguing as the suspense scenes in a thriller. LOL. Take some time to read it again and you’d see what I mean. We do agree with you that “Announcing everything from pregnancy to what you had for breakfast, lunch and dinner is silly” That’s why we don’t do that. We have never announced what we had for breakfast, lunch or dinner in any of our vlogs so if you ever felt we did that, you must be mixing us up with some other couple or your imagination is extra-active. You can be sure we don’t share everything. Even if we wanted to- we don’t have the time or space. Moreso, a lot of good things are happening in our lives and they’re broader than the scope of this vlog. We only share what we believe will encourage young and soon-to-be couples to strengthen their marriages and relationships. Since you know there’s freedom of expression, why are you so bothered about the snippets of our lives we choose to share? We also feel there are more endearing ways of getting your points across. Finally, you used 16 exclamation lines in a 6-line message. That “sounds” like you’re screaming. No need to. We would hear you- even if you whispered. Thanks for your comment all the same and I hope you will take our serious observations in a lighthearted manner even as we’ve taken time to read and reply yours. LOL. @ Kemi, the pastors response to your comment was phenomenal, intriguing, suspense filled. Chei. even a blessing that he had the time to reply you. I grabbed some nuggets from the wisdom filled response to you. Please, Pray this prayer point.” Oh lord please help me to rejoice with those that rejoice” because when you rejoice with the beautiful things in other peoples lives you will realize that even your life has been beautiful all the while and more will locate you. Being annoyed with someone over beautiful announcements is an evil spirit from the devil. Check out King Saul in the bible was always angry (bad belle) when David was victorious. We all know how he ended up. A word is enough for the wise. While a pit or two is enough for the foolish that is if they can get out of the pit. Hello Hadassah, thanks for taking time out to try to watch the video and also ask questions where unclear. I believe the hubby has already replied, so I’ll just say a tad bit. I get what you mean about being away for not so long and then acting like you never lived here. I don’t like it when ppl overdo that either. That said, truth is, my husband has always hated generator sounds, so to come back to it again was just an annoying reality. Personally, I have never had cause to deal so closely with Nigerian artisans till now. The stories are too many, hence this particular lamentation. It’s just true talk my sister. Thanks again for watching and trying to clarify, I sincerely appreciate that. @ Hadassah trust me when I tell U it ain’t a JOKE! I I have been here for decades, I visited Nigeria & folks thought I was “forming”. According to my fellow people but guess what? My grandma came just for couple of months, went back & she ran back to the States???. My cousins called & said she’s complaining abt everything including the heat, noise, dust etc. So there’s a huge difference even if it’s just one month; that’s someone over 70 let alone me. I loveeeeeed the video. Please more don’t stop. The smiles alone is enough to keep one happy and hopeful. God bless you. Marriage is sweet biko, just find a friend and lover at the same time. Thank you so much Bubu. We are elated that you loveeeeeed the video. And to think that the smiles keep you happy and hopeful! We could’t have guessed. Thanks for letting us know. You are soon right- Marriage is sweet. We shall continue by God’s grace. Thanks for your comment. We really appreciate your compliments on our chemistry and Toju’s glow! It’s okay to struggle with knowing what are vlogs are about. It could be that you haven’t watched the previous episodes or that just as you stated about this one, you didn’t finish watching those either. To give you an overview, we decided to share our experiences as a couple after our first year because we felt they could be of help to other couples and those planning to get married. To our surprise, the videos went much further than we anticipated- touching more hearts than we imagined. And the demand for more videos (as you can see from a comment below yours) kept coming, so we thought and prayed about it and decided to “come back” with an actual blog. Our goal is to help strengthen marriages, and relationships through healthy conversations and real experiences as a God-centred couple. We hope to encourage others as they navigate their own walk. So, most of our blogs will touch on issues relating to marriage, relationships and family. Yes o, you’re right, Toju and I were out for only so long but the truth is that Nigeria’s peculiarities are interesting. Every time we travel out of Nigeria (even if is to Dubai), when we return, we have to make adjustments. Our guess is that, you have traveled out yourself, possibly, many times and can you tell us that you didn’t feel the difference right from the airport? If you never make adjustments whenever you return from your trips to other lands, you must be one of the 1% who need to school the rest of us. LOL. Anyway, thanks for your comment and just so you know- we are glad to be in Nigeria- with all it’s peculiarities. Beautiful and blessed couple. Thank you for going out of your way to share a bit of your life with us, so that we can all learn and also have the courage to share a bit of ours. For me, the entire length of courtship before marriage was long distance; it was tough, but one factor that helped was that husbi and I knew exactly what we wanted, and by Gods grace we were able to stay focussed on that; one must however be ready to invest money, time, patience, and loads of trust in such relationships. p.s: stay away from negative-minded people who do not believe that such relationships work. After marriage, we stayed apart for about three months before I relocated to Nigeria to join him. It was one of the toughest times in my life, as I was of another nationality; no family nor close friends in Lagos; had to switch from Catholic to a Pentecostal church; had to make do with internships, as I looked for a full employment job; had a car accident along the Lekki-Epe expressway, which totalled my car. As for the generator sounds, they were out of this world; it drove me nuts. But by Gods grace, I learned to keep my eyes on the positive things around me; the beautiful people I met in my church fellowship, my husband’s family and friends, the variety of ‘leafy’ dishes Nigeria had to offer (yes, I love food), God’s daily blessings upon our marriage, and the lessons God wanted me to learn from my experiences in order to become a better person. During that period, the love and trust I had for my husband multiplied many times, and I knew that even though I was away from my childhood home and country, I was indeed in my own home. Our marriage was tried and tested during that period, but the beautiful thing is we both ended up leaning more and more on God, and he in his infinite power and glory turned our dark moments into sunshine. I have come to realise that God uses marriage to perfect you in his own image; because you love your spouse so much, you are more willing to open your heart to change in order to make the marriage work; and this begins to reflect in other aspects of your life. For example, I was a very very impatient person, but through marriage I have become more understanding, respectful, tolerant and patient; as a result, my relationships with family, friends, work colleagues, and other acquaintances have improved. Last night, I watched your previous videos with my husband, and we reflected on our own marriage ; thank you for giving us the opportunity to do so; we appreciate it. Catherine, you sound like such a level-headed, kind, Godly woman, i pray that the blessings of our Lord will continue to shine brighter in your marriage, my people the Igbo people have a saying “nwanyi bu ori aku di ya” which means a woman is the “enjoyer” of her husband’s wealth, i pray that you will always enjoy your husband’s wealth, and he will always enjoy yours. i just felt like praying for you, may your sweetness never turn sour, in the mighty and powerful name of our Jesus, amen, The world needs people as good-hearted as you, please don’t change, take care my sister. As you may have observed, we didn’t set out to start a vlog. It was birthed out of our desire to share our experiences as a God-centred couple with other young and soon-to-be couples to help them strengthen their own marriages and relationships. We don’t share everything on our vlog neither do we open up critical decisions in our lives to the public. We spend quality time praying with and for each other and we talk through our differences and points of disagreement on different issues. We don’t think it’s just the first 2 years of marriage that are not the easiest. We think that every phase of this lifelong journey has its demands and we are committed to growing together through it. I can’t tell you what you can or cannot do; should or should not do, but all of us have to stretch from time to time to become what we were created to be. Even the eagle has to stretch its wings before it flies. Thanks for your comment and I hope mine helps. I feel what you guys are saying, i just got married ( 5 Month now) , sometimes i ask myself why did i do it. ( Not to say that i’m not enjoying my marriage) just that moving in together into our apartment. Having to pay bills , deal with artisans (things you don’t think of before now) , cook , be a wife ,a sister , a daughter , daughter-inlaw and be a friend can wear one out. My husband and I are just adjusting..
Love your blog,you guys are funny and polite please make more. I can relate to the issues.I live in Naija and hate generator sounds and my husband hates dealing with artisans ; they make you want to tear you hair out. looking forward to your journey as you settle in. Toju and Dami, You guys look like good potential family friends. I will let you know when we move back too so we can become real family friends (by fire, by force hahahaha). Jo, your question is so apt- I started a personal blog once too and usually ended up deleting most of my writing at the end cos I just considered too many things too “personal”, yet wanted to share at the same time. lol. I consider this hesitance on my part funny cos I talk a lot in person and can share all of my life story within 5minutes of meeting someone. Funnily from my couple of encounters with Dami during NYSC/CDS, I thought he was a very quiet and private person. Now I have a theory that maybe people who are “shy” in person find a better avenue to be expressive through more “public” avenues like blogs etc. Or maybe he just was never as quiet as he seemed. Hi Pastor Dami 7 Toju. Welcome back home! Really love your vlog and I must say I learn a lot from you both. Please continue and may God continue to bless and keep your family. Much love. Oh, and pastor Dami and sister Toju, just carry go, you guys are good, and the Mercies, Grace, Guidance, and blessings of our God will continue to abide in your lives and the life of the precious little one on the way, Chukwu bi n’Igwe gozie unu ofuma.